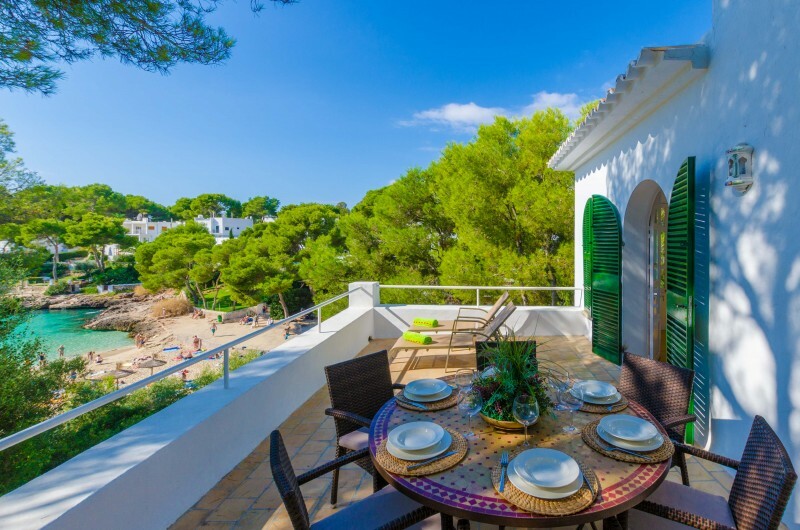 We welcome you to this magnificent chalet of 130 m2 located in Cala d'Or, which can accommodate six people. It has a pool and all the necessary amenities to spend an unforgettable time. The outside area of the house is very comfortable and you will have enough space of you to find your favorite corner. It also has a barbecue that will be very useful to prepare the tastiest dishes. This area of the house, along with the furnished porch, is ideal because you will not have the need to move from the pool side. The pool’s dimensions are 5.5 x 3.5 meters, it is perfect to refresh in the hours of more heat and has a depth that goes from 1.20 m to 1.80 m maximum. Equally, if what you prefer is sunbathing in Mallorca’s sun, there are 6 loungers that will allow you to rest. In the pool area, you can enjoy the terrace and the garden area with lawn. At the same time, in the first floor you will find a second furnished terrace (with 2 more loungers) so that you can see the horizon with the green forests of Majorcan pine trees. 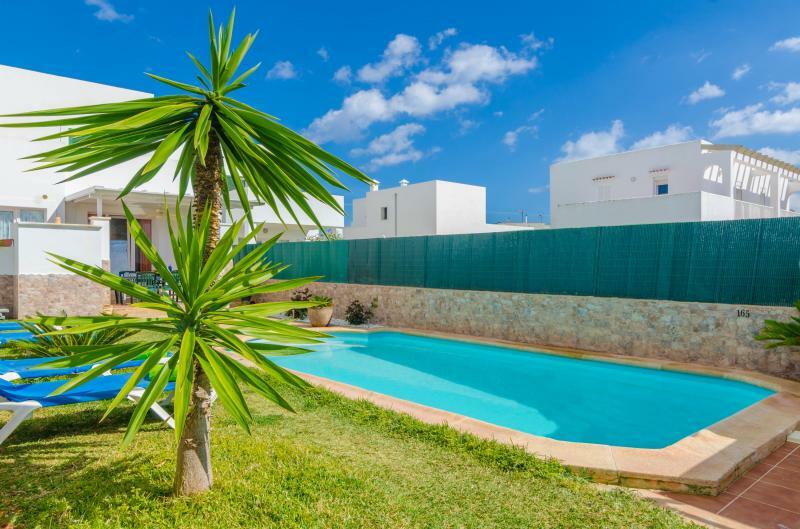 This house, built in 2000 and situated on a plot of 300 m2, is ideal to spend your holidays with family or friends. The furniture, the equipment and the bedrooms of the house make this property very appropriate and ready. 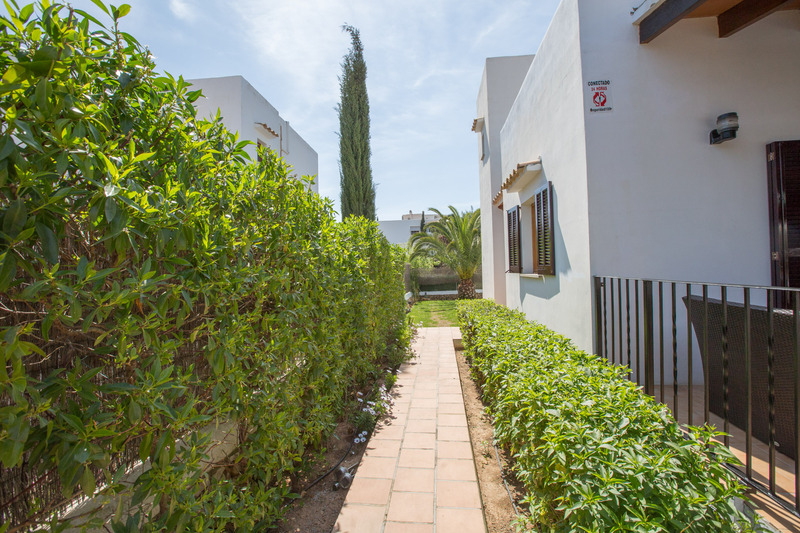 All in all, this house invites you to enjoy the quiet surroundings and it is very near to the beaches and coves of Cala d'Or. The spacious lounge-dining room is an ideal space to meet with family and friends, relax y have long after-eating conversations. The dining space is very versatile and with enough space for you to feel comfortable during your meals. In the lounge you to rest reading a book, watching satellite TV (only German channels) or surfing the internet. The kitchen is very practical and is equipped with all the necessary utensils and equipment to cook, including electric stove. The laundry has washing machine, iron and ironing board. With regard to the house temperature, for the months of winter, the property includes central heating. For the summer months, most rooms include air conditioning. In addition, a fan is available for you to renew the air. Regardless of all the previous information, the natural home breeze, the property is located near the beach, helps tremendously with this matter. The house has 3 bedrooms, 2 bathrooms and 1 toilet. The three rooms of the house are double; 1 with double bed and in-suite bathroom with a bathtub on the ground floor; and the other 2 with 2 twin beds each on the first floor (one of them with in-suite bathroom with bathtub). All rooms have enough space to fit a crib. The washroom is located on the first floor and is available for the rest of the house. 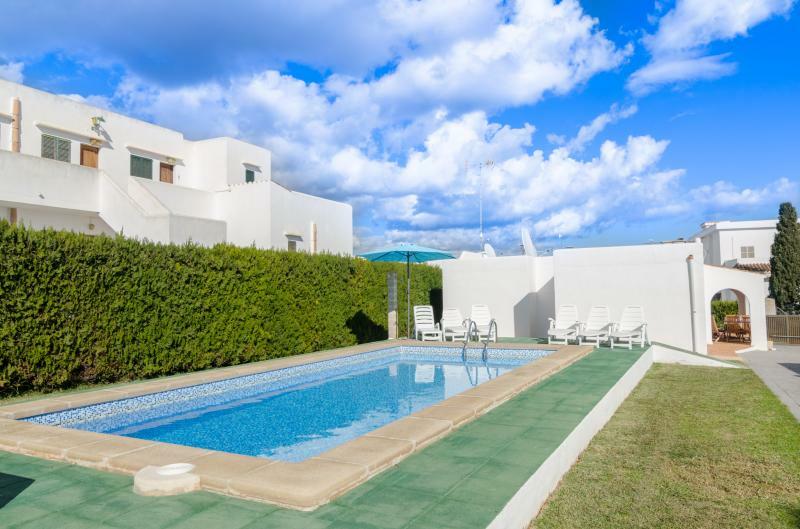 The house is situated at only 1.2 km from Cala Gran, in Cala d'Or, the nearest sandy beach. If what you want is to swim in Mallorca’s sea, you will have many options. 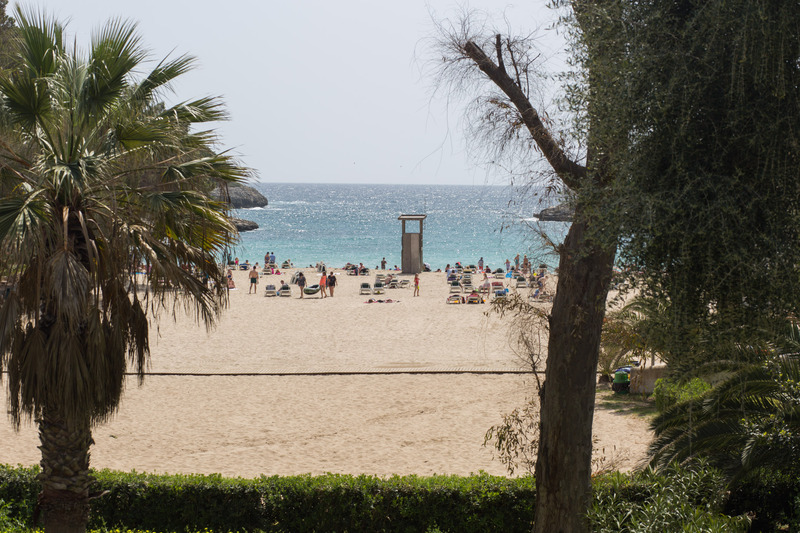 Very close to you, you will find places like Porto Petro and Cala Ferrera. 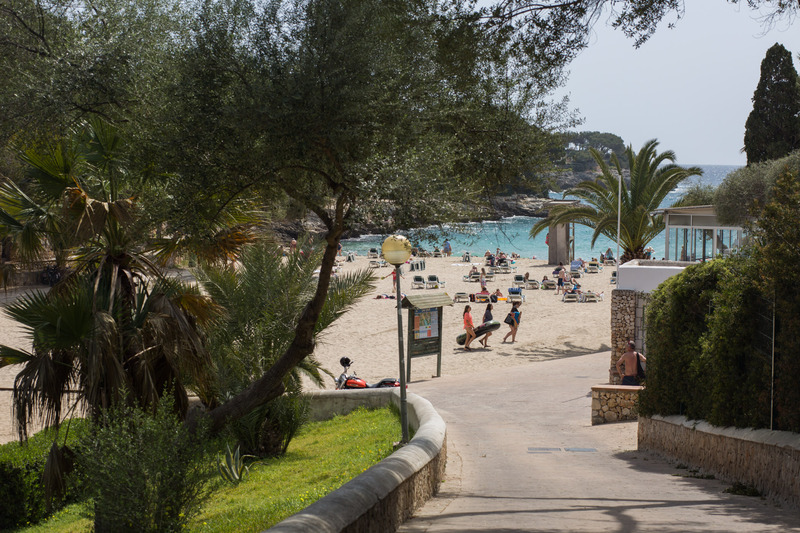 Other places that you should visit are Porto Colom, Cala Marsal and Mondragó’s Natural Park; all these in a radius of about 11 km. The house is situated in a quiet, but well connected by road area. A/C is free of charge from 9 p.m. till 7 a.m. and from 2 p.m. till 4 p.m. If you need air conditioning the whole day, it has an additional cost.